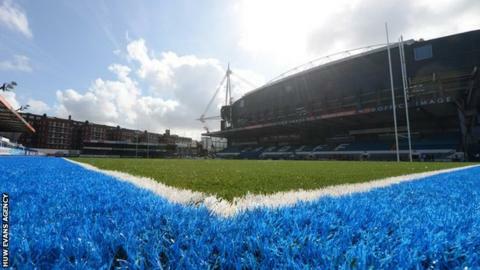 Cardiff Blues are in talks over a new lease for Cardiff Arms Park with the stadium owners, Cardiff Athletic Club, with a view to redeveloping the ground. The regions says talks over a new 150-year lease are at an "advanced stage". Blues' existing lease for their home ground runs until January 2022. "The proposals would see the property being let under a 150-year ground lease for the express purpose of providing a new stadium suitable for rugby," a Cardiff Blues (CBL) statement said. "CBL is seeking to develop a stadium fit for purpose for both Cardiff Blues and Cardiff RFC in the heart of Cardiff city centre. "Detailed discussions will continue to agree the full terms of the new ground lease." Blues left Arms Park in 2009 to play at Cardiff City Stadium, which has a capacity of 33,280. But they returned to the 12,000-capacity city-centre venue in 2012 after failing to attract the level of attendances they had hoped for.